At Conrad O’Brien, we tackle complex cases with tenacity and serve clients with responsiveness and integrity. Our uniquely agile, collaborative approach to litigation allows us to solve clients’ problems effectively and efficiently--and makes each team member’s work more meaningful. Our firm’s success is fueled by a culture of flexibility and collaboration. 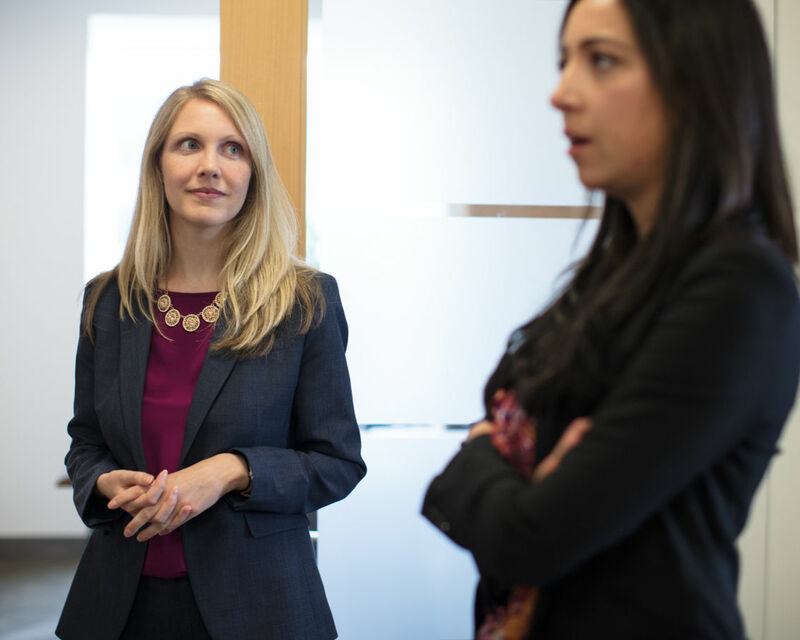 Younger associates enjoy getting hands-on experience quickly, and laterals appreciate the flexibility of our practice areas and fee arrangements, and fewer potential conflicts of interest for the cases we can take on. We pride ourselves on being a family-friendly firm. We offer a family leave policy and flexible schedule options. You’ll also feel right at home in the office, working with like-minded people in a collegial environment. The firm was ranked in the top 10 of Law360’s “best law firms for female attorneys” list and is a proud member of the Philadelphia Diversity Law Group. Our people are great at their jobs—we have former assistant U.S. attorneys and clerks and Chief Judge Emeritus of the U.S. District Court for the Eastern District of Pennsylvania; experienced trial attorneys; big-firm laterals; and top law-school grads. We also rely on our strong administrative team; we truly believe every role in the firm is important. We are professional and personable, with a healthy dose of personality. Please direct all general cover letters and resumes to careers@conradobrien.com. For lateral positions, please address inquiries to the attention of Kevin Kent, Partner. For associate positions, please address inquiries to the attention of Robyn Henry, Director of Administration. For staff and administration positions, please address inquiries to the attention of Robyn Henry, Director of Administration. Conrad O'Brien has an immediate opening in our Philadelphia office for a litigation associate with 2-4 years of general litigation experience. The successful applicant will have strong academic credentials and superior legal research and writing ability. The person selected for this role will work on general commercial litigation matters across several practice areas as well as with our Title IX/Campus Discipline practice. We are a boutique litigation firm that offers a great work/life balance, competitive salary, excellent benefits, and a collegial working environment. We are not accepting resumes from recruiting firms at this time. If interested, please send a resume and cover letter to rhenry@conradobrien.com. 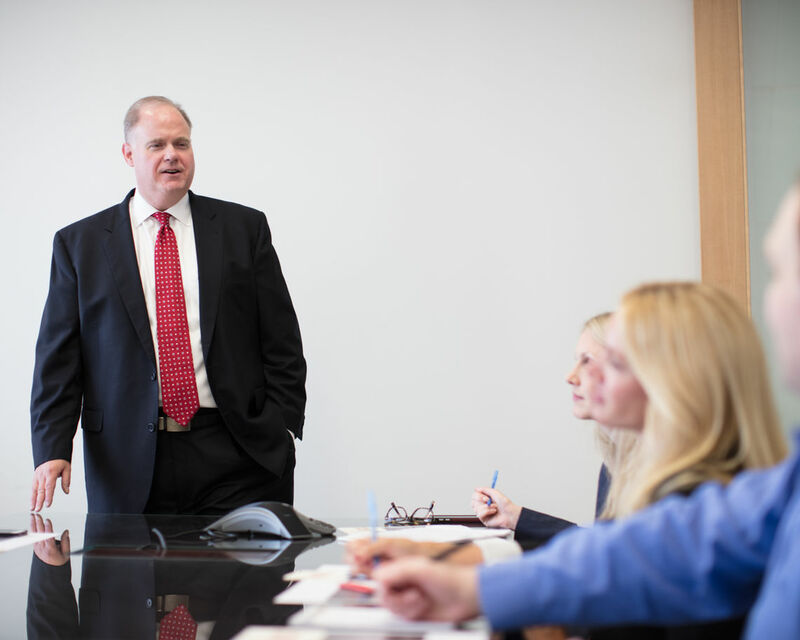 Conrad O'Brien is actively seeking lateral attorneys at the partner level. If you are considering a change to a new environment for you and your clients, we encourage you to reach out. If you are interested, we would welcome a discussion with you about our firm culture and the opportunities we can offer for growth and success. Please email Kevin Kent at kkent@conradobrien.com or Robyn Henry at rhenry@conradobrien.com. "“I love the sense of collective mission in the heat of intense litigation. Knowing that I can trust all of my colleagues frees me to concentrate fully on the legal matters at hand.”"
"“The work environment at Conrad O’Brien is more balanced, less stressing, smarter, more empathetic, less stratified, and more fun than other firms I have worked for in Philadelphia and New York City. I love coming to work every day!”"
"“I like getting a big firm experience at a relatively small firm. Despite our size, we have such a wide range of experienced attorneys in a variety of areas.”"
"“Conrad O’Brien offers a great atmosphere of camaraderie that makes me feel like I am part of a family. It’s a place where everybody can work independently yet still come together to collaborate on a case.”"
"“Conrad O’Brien is filled with attorneys who are both skilled litigators and intellectual heavyweights. I have the great fortune to come to work each morning knowing that I will not only work with such a talented group, but learn from their years of experience and success.”"
"“The thing that makes Conrad O’Brien special is the people. 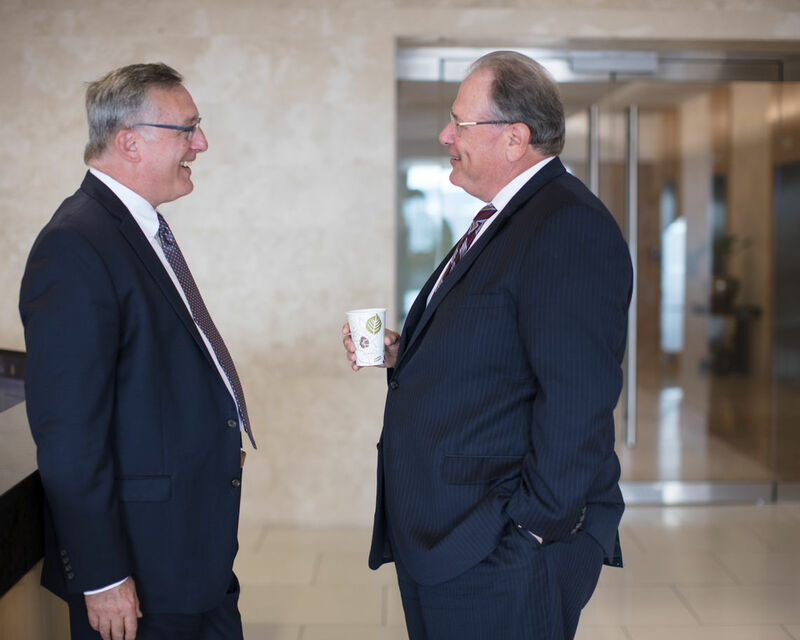 In addition to fighting tenaciously for our clients, the lawyers here have each other’s backs. It is a true team effort.”"